Ruth Arilla Acosta is the designer behind PETTY THINGS, the Spanish brand of accessories, luxury handbags made with leather and/or vintage fabrics, with limited and exclusive editions. Ruth graduated in Fashion Design at the Centro Superior de Diseño de la Universidad Politécnica de Madrid. Her studies gave her the basis to start creating her own accessories collections, but also to work with different designers such as Juan Duyos, Jocomomola de Sybilla, and Jesús del Pozo. From him he learned the trade and taste for the highest standards of quality and products made in Spain. "We are a company that believes in slow fashion, in respecting processes and recycling materials, creating contemporary pieces full of history and sustainable." Petty Things’ philosophy has always been “crystal clear”: creating accessories combining elements from past ages with modern leather working techniques, along with adapting those elements to different, marvelously elaborated forms. Manufacturing a brand of luxury handbags within reach of special women, who love art, pretty things and little things… is the main purpose of those “Petty Things”. The brand distinguishes itself by being unique and timeless, together with the enhanced fascination its creator has for materials with a particular soul and a history of its own. Ruth designs collections of contemporary handbags, with unique series created from vintage fabrics, which are its treasures. They come from a careful collection that she has been gathering thanks to numerous trips and an intense search. Other collections are born from the determination in slow fashion as a concept, using chrome-free vegetable leathers, combined or not with the original treasures: vintage fabrics. 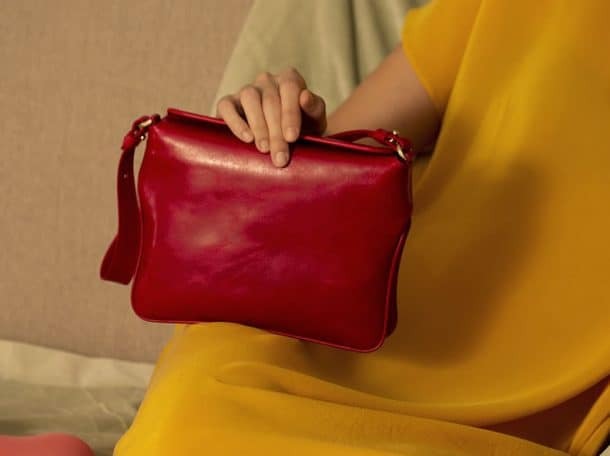 Each season the collections of handbags are hand made by the best Spanish craftsmen, which allows us to follow closely the creation process and make an exhaustive follow-up of each piece, whose goal is the highest quality, a luxury handbag. The vintage-fabrics handbags collections have limited editions, from 2 to 100 numbered pieces with descriptive cards that describe the previous life of their materials. PETTY THINGS stands for a complete and full dedication to quality, craftsmanship and design. 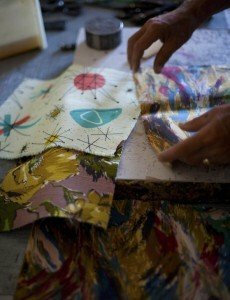 The company values inspiration through the reinterpretation of precious historical fabrics. 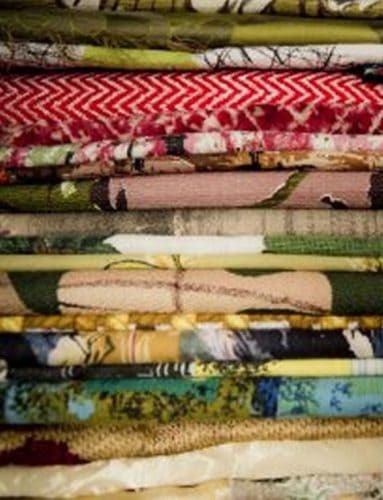 Vintage fabrics are unique treasures, such as the barkcloths of the 1950s, the silks of the 1940s, pampered cotton of the 1930s, or embroidered shawls of the early 20th century, combined with other materials and exquisite vegetable tannery skins. and demand quality, being aware of the pampering in every stitch each product has.